Hi Everyone! Stephanie Buice here today and it is such a pleasure to be back here at Doodlebug as a guest designer. Doodlebug is where I first fell in love with designing for a company and color, lots and lots of color. I was blessed to be on the DT for two years in a row so I'm pretty sure it will always feel like home here to me. When I saw all the different colors and patterns in this collection my heart skipped a beat! I knew I wanted to make my pages bright and cheery. I cut strips of the papers, and placed them in a horizontal line down my page with my picture near the bottom. I added some Sprinkles and Sequins here and there to add some interest and keep your eye moving through the layout. The title I wanted to use what way too long for me to place it along the bottom of my picture so I decided to put it to the right. and finished it off with the camera Doodad from the Day to Day collection. I cut out different sizes of circles from the vellum and 6x6 paper pad and sewed them together making mini banners. I lined them up on the top and bottom of the layout using them to frame my picture in the center. I cut the "hello" from my silhouette and used some watercolor to make it match the colors of my layout. Here is a final close up of the mini circle banners, I love how it let me fit more bits and pieces on to my page, without taking away from my picture. Hi everyone! I'm Stephanie Buice, I live in AL with my hubby and our sweet 2yr old son. I love to scrap and document our everyday and I'm so blessed to get to design for some of my favorite companies. You can always find my work on my Instagram: http://instagram.com/stephbuice and my blog: http://www.mybitsofsunshine.blogspot.com/ . I had so much fun playing with the Kraft in Color collection, I'm still drooling over all the yummy color! Thank you so much for having me back here at Doodlebug and I hope you like what I've created for you. 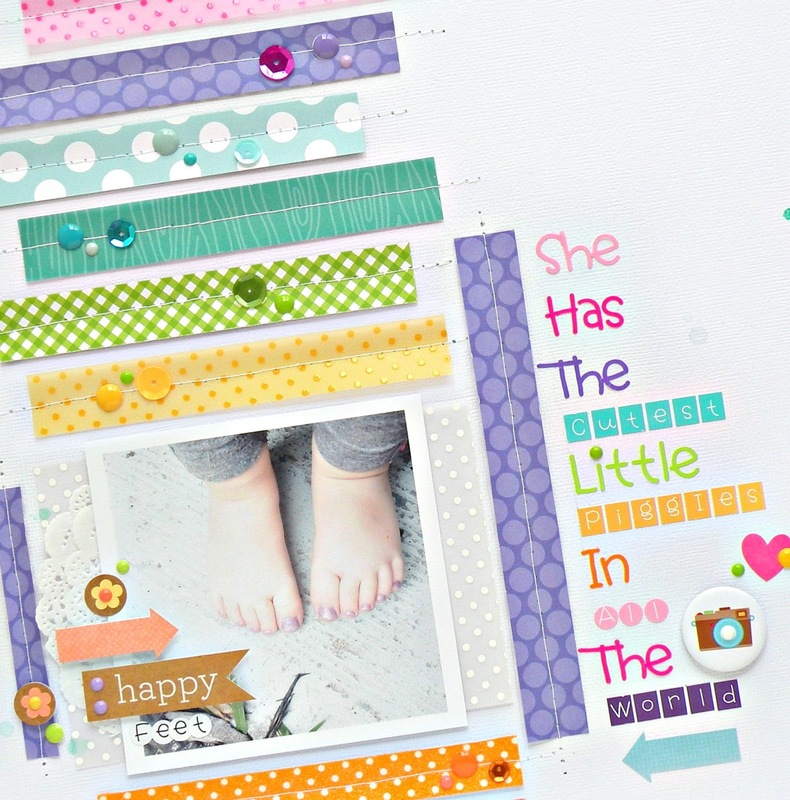 DELIGHTFUL layouts Stephanie - such cute photos and fabulous page designs!!! Super sweet! I love the stitching and the fabulous long title. The photo is priceless and in a class of it's own! TFS! So fun to see your work in Doodlebug land again! I love me some colorful Stephanie layouts! I am crazy for the stitched layered circles. They are so perfect! Wow - awesome, awesome layouts!! 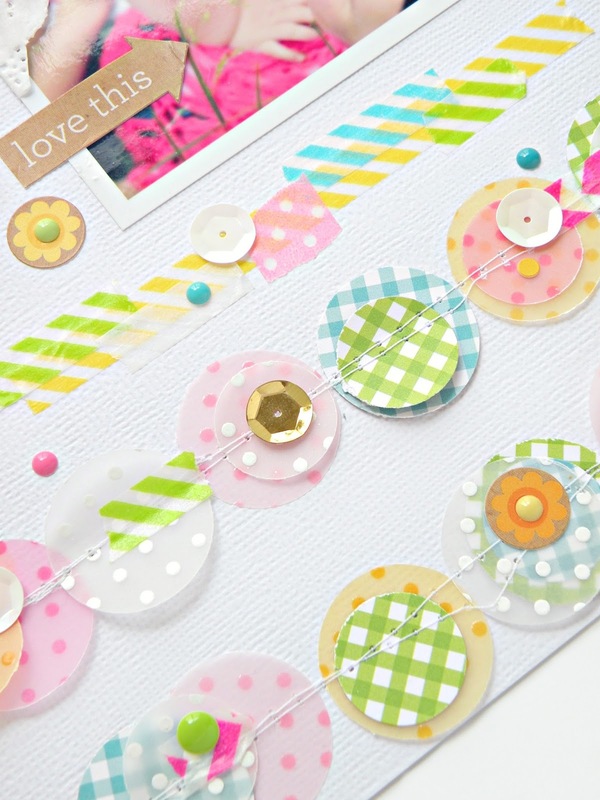 Love the way you used awesome Doodlebug products to make such fantastically cute layouts!! You are amazing and I am thrilled to see such fun work! !